You may order direct from this site and checkout using Paypal services which will allow you to use most major credit cards, debit cards, or your Paypal account. 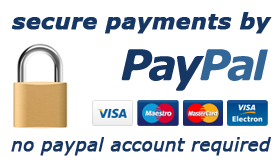 During Checkout you will be asked to "Proceed To Payment" where you will be transferred on a secure server to Paypal. 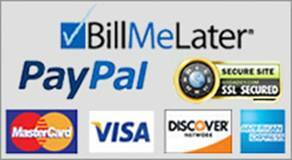 On that page you will have the option to pay with Paypal or with your credit card if you don't have a Paypal account. Financing is also available through Bill Me Later. If you need help installing your new purchase you may go to our "Find A Dealer" page, or simply call us direct at 815-758-2783 for assistance. If you are a wholesale customer with a valid tax ID# please follow the instructions on the "Dealer App" page.